This 4 part series shows some of the decisions and work done to economically upgrade a forced air furnace and ac system. 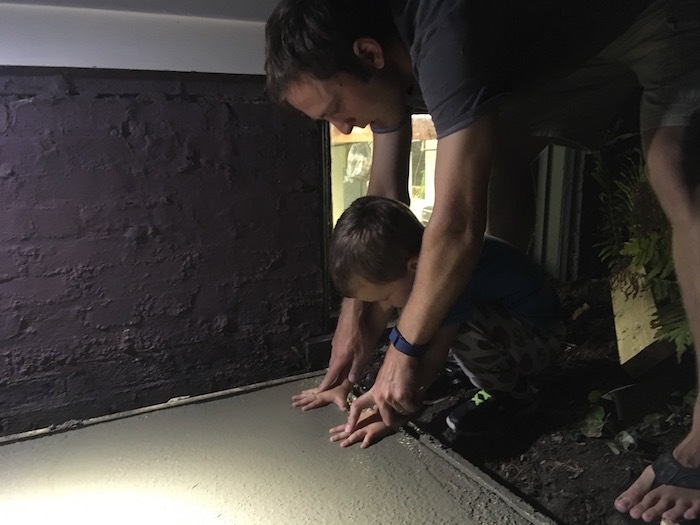 The goal is to reduce the overall cost while improving the finished quality by taking on some of the smaller jobs as DIY instead of bundling the work with the HVAC contractor. 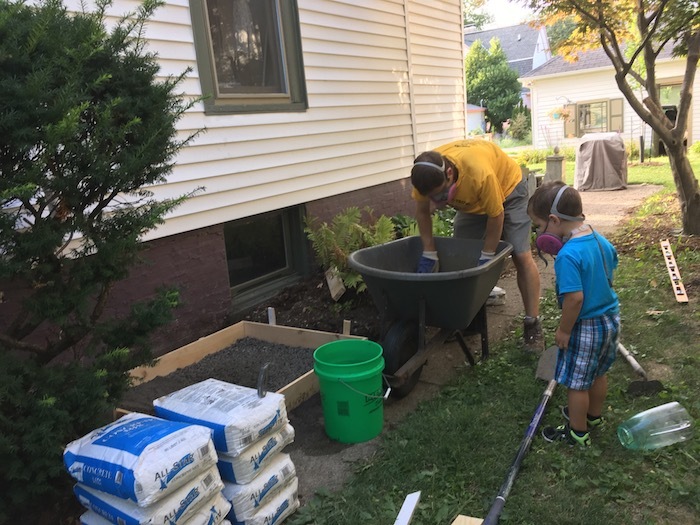 The primary objective of this project was to replace the nonfunctioning 1984 Sear Kenmore air conditioner with a modern, high efficiency, and most importantly, working, air conditioner. 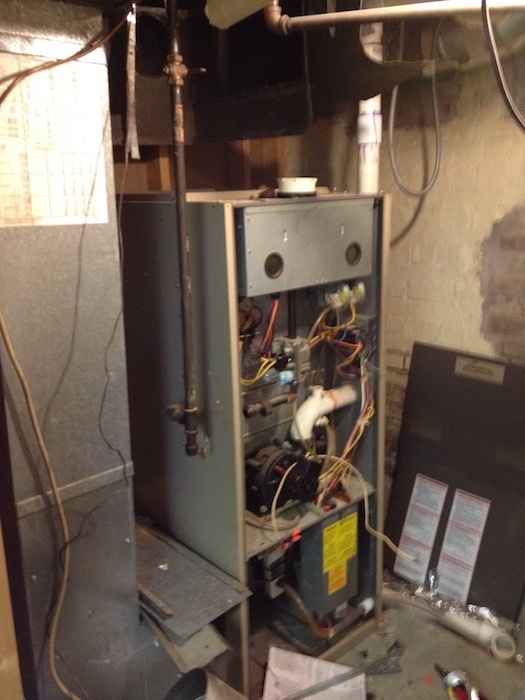 The natural gas furnace was also showing its age. 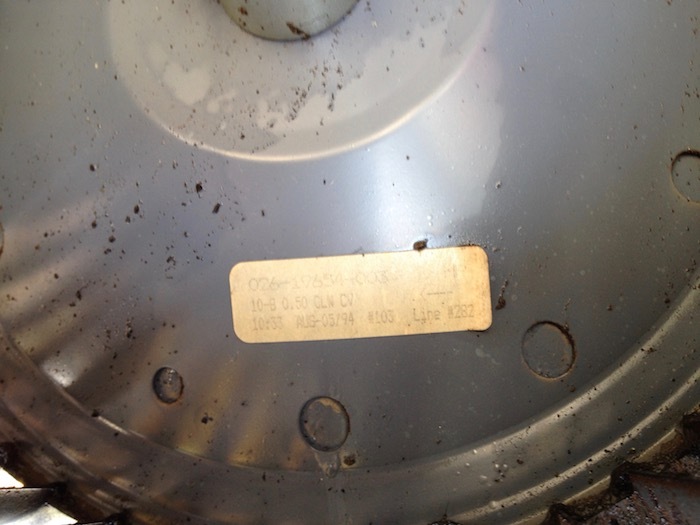 The blower had a yellow sticker showing the manufacture date of August 5th, 1994. While the furnace worked and kept the house warm in winter time it wasn’t the most efficient unit. If I had to guess it was probably a 90% efficient model and it most definitely had an old style PSC blower motor. PSC motors work in either ON or OFF. So the air in your ductwork is either blowing at full force or not at all. The more efficient blower motor is an ECM. These electronically controlled motors can usually work at at 50% or 100% or some of the fancier ones can run at anything between 0-100%. Not only do they save on electricity costs but they also improve comfort by constantly circulating and filtering air throughout the house. The first order of business is in sizing some new equipment. There are three main pieces of equipment in your standard forced air system, the gas furnace, AC condenser, and the AC evaporator coil. Furnaces come in three different airflow configurations, upflow, downflow, and horizontal. In an upflow furnace, the unconditioned air starts at the bottom of the furnace and travels upwards while being heated before exiting out the top. 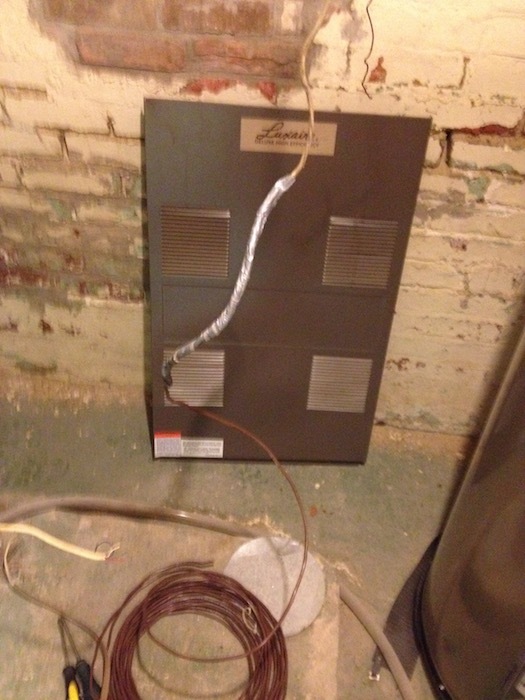 The AC evaporator coil sits on the conditioned side of the furnace. So in an upflow furnace, the evaporator coil would sit on top of the furnace. As for sizing each piece, furnaces are sized by their output BTU, or British Thermal Unit. Typically, furnaces come in 40k, 60k, 80k, 100k, and 120k BTUs. AC condensers are sized by tons. One ton is equivalent of 12k BTUs of heat that can be removed from a house in one hour. Typical tonnages are 1.5, 2, 2.5, 3, 3.5, 4, 4.5, and 5. Evaporator coils are sized the same or larger than the condenser. There are a lot of different rules of thumbs for sizing both furnaces and AC systems. It is important to get the size correct. You may be tempted just to get a really big system, but that would cause its own set of problems. HVAC equipment is designed to operate best when it is given enough time to run. Short cycling, or the process where a furnace or AC kicks on and too quickly reaches its desired temperature and shuts off again can lead to decreased comfort and energy savings. If a system is sized too small, then the equipment just runs and runs without ever reaching the desired temperature. In my case, I had already gathered bids from three reputable HVAC contractors. Each of those contractors gave three separate equipment bids for a total of nine different equipment configurations. I simply threw out the lowest and highest sizing outliers and went with the median. For my house that ended up being a 100k BTU furnace and a 3.5 ton AC condenser. We chose to order the equipment ourselves. The total was $3,250. Saving $1400 in lieu of a warranty seemed like the best option for us. If you are less risk tolerant then perhaps you would want the peace of mind that a warranty gives. I figure that if we do have problems with one or more pieces then that $1400 would go a long way to resolving them. Within a few days I received a phone call from the truck driver telling me he was on his way. I paid an extra $35 for lift gate service. All that means is that the semi truck driver will use a little elevator on the back of the truck to get the pallet of equipment down onto the street level. He also had a pallet jack to move it off the street and into our front yard. That was it, the rest of the work of moving the new equipment would be my responsibility. 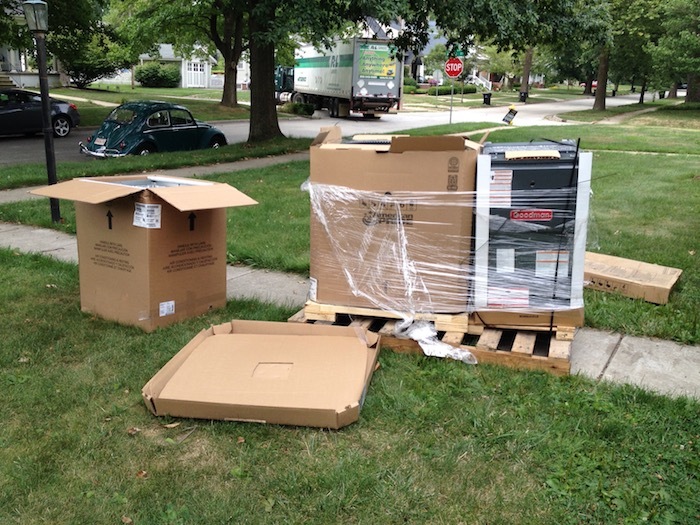 Before signing off on the delivery, it is crucial that you inspect all boxes and equipment. Any damages should be returned immediately. 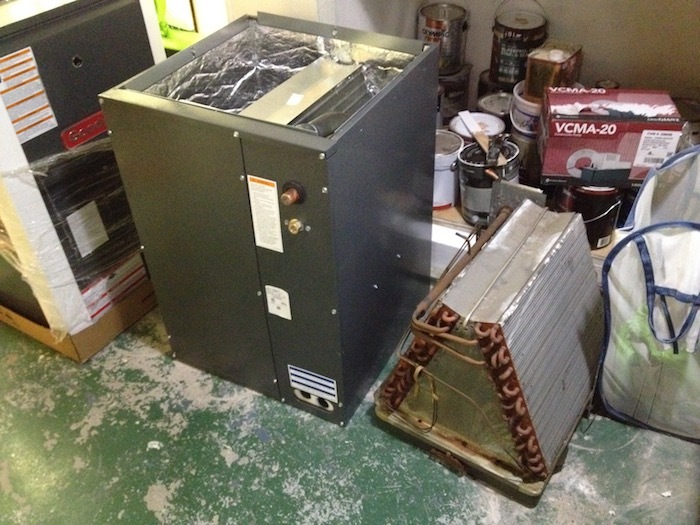 Both the AC condenser and evaporator coil shipped with a charge from the factory. The condenser comes pre-charged with refrigerant and the evaporator comes charged with inert nitrogen gas. The condenser is the most fragile unit, and it is also the heaviest weighing in at around 200 pounds. If there is any damage it would likely show as either crushed fins or oil pooling at the bottom of the box. I was a bit surprised that the new equipment had arrived so promptly. I thought I would have more time to remove the old stuff. 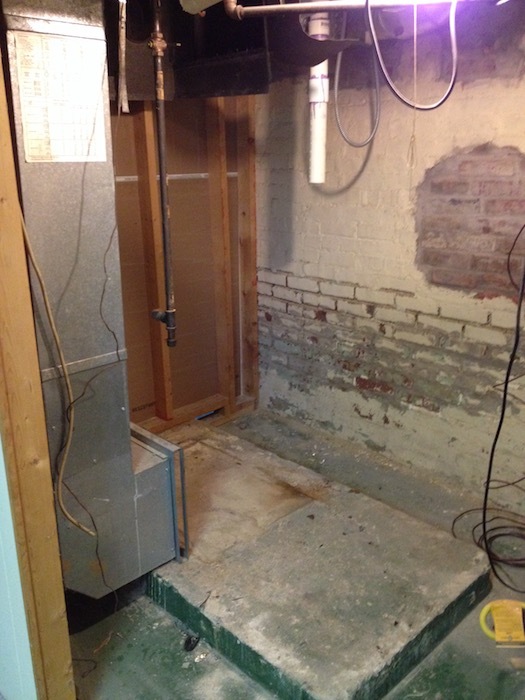 Thankfully, the furnace is fairly easy to remove. In the process of removing it, I discovered a sizable crack in the secondary heat exchanger. I guess that is another good reason to replace with new equipment. Meanwhile, Frugal Boy was enjoying his new toy. There was a slight size difference between the old evaporator coil and the new one. With all of the old equipment torn out and the new stuff ready to be installed it was time to call the contractor and let him take it from there. Once he was finished there were just a few loose ends to tie up. Replacing a furnace or an air conditioner is usually the sole realm of licensed contractors, but that one BIG job is composed of many little jobs. A lot of those little jobs are in the realm of an experienced DIYer. 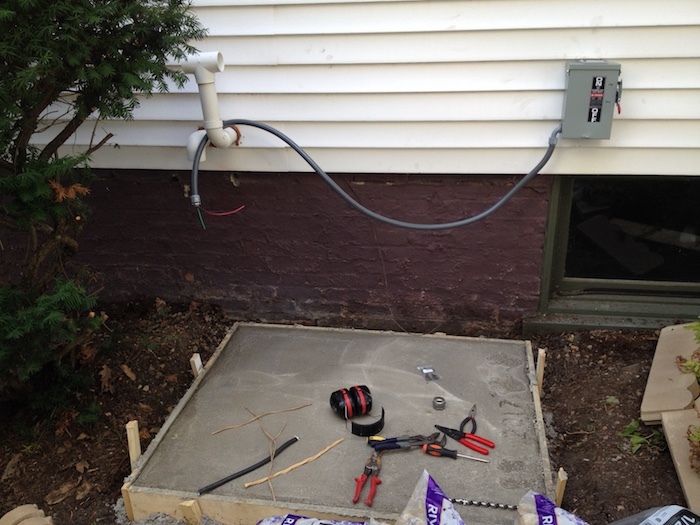 To save some money on the replacement of our furnace and air conditioner, I did some of those little jobs myself. Here is a picture of our old AC condenser. The bush is overgrown and needs to be trimmed back. That doesn’t take any special skills or training. 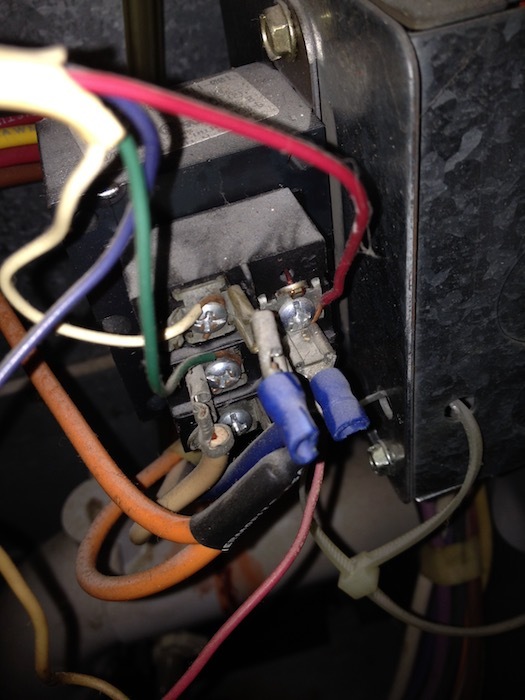 Also, the electrical disconnect box is mounted on the condenser itself which is against building codes. It should be mounted on the house. 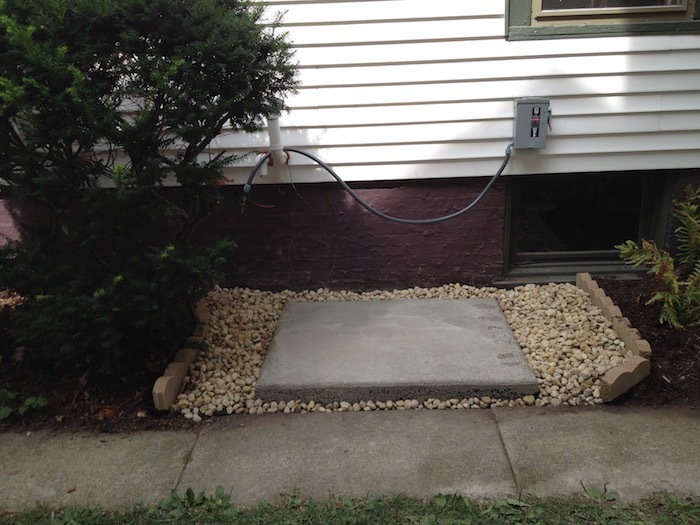 If you have done other electrical projects in the past that is certainly a project for an intrepid homeowner. 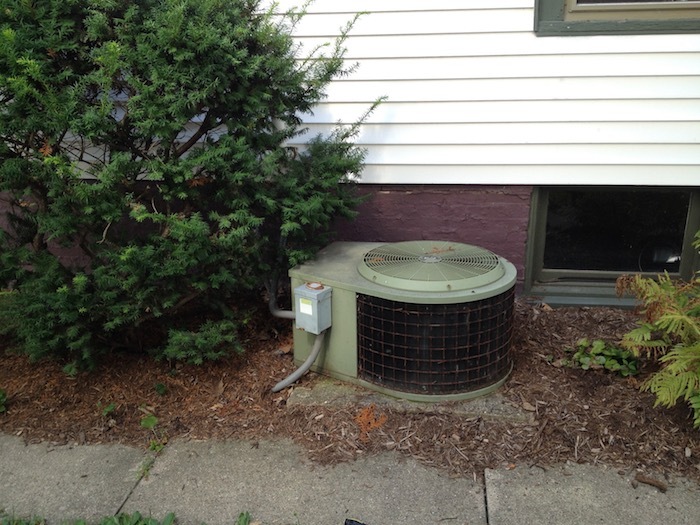 Physically removing the condenser isn’t difficult once the old refrigerant has been removed. If you don’t know how to properly remove the refrigerant have a professional come and do it. 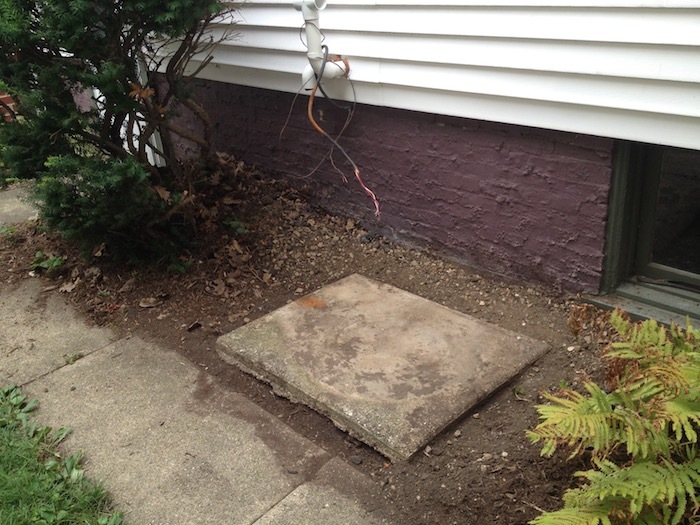 With the old unit removed and the concrete pad exposed we can make further progress. 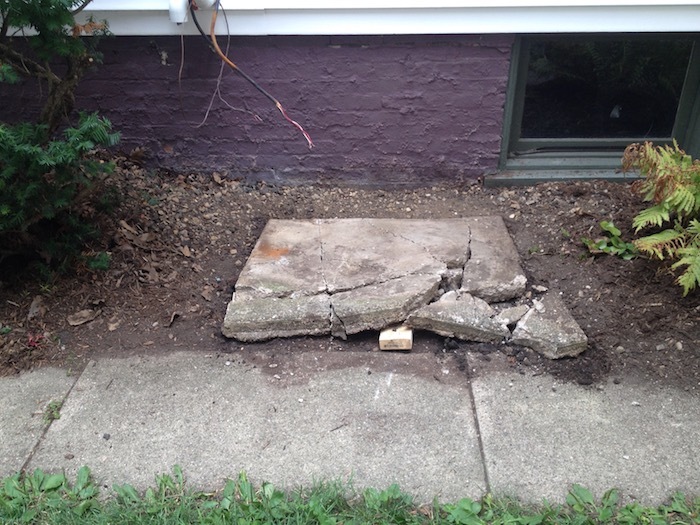 This concrete base was too small so I tore it out as well. You might think that concrete would be hard to remove, but if you can get something under it like a 2×4 it will break up very easily. I made a new concrete form and did some excavating. A layer of gravel went in first and some bracing stakes went in around the perimeter. 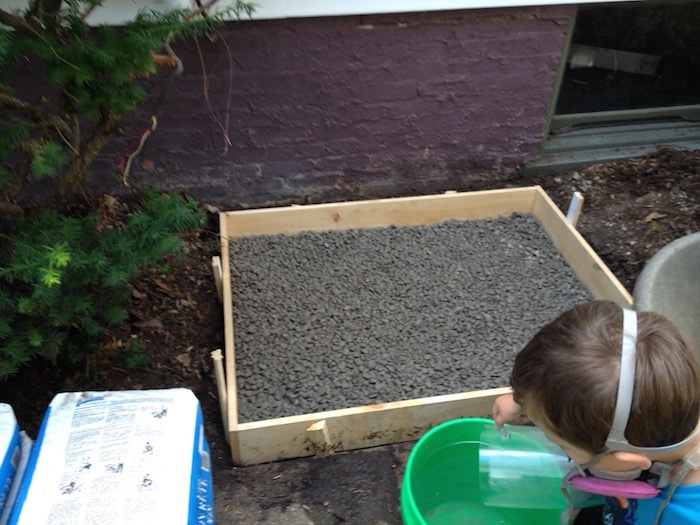 With Frugal Boys help, I mixed up a bag of concrete at a time in a wheelbarrow I found in the trash. 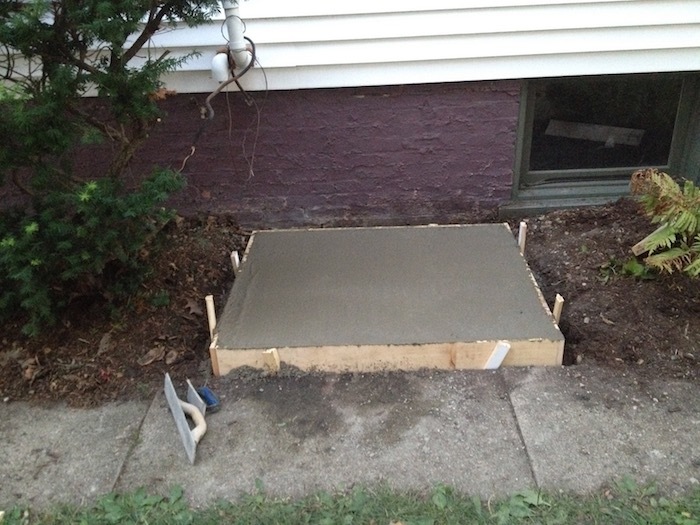 Using a sacrificial 2×4 as a make shift screed, I leveled off the top of the concrete so it sat flush with the form. After it had set up a bit, Frugal Boy and Frugal Girl both left their marks. Make sure you wash off any concrete from skin as it can cause a nasty chemical burn if left on. While I could have reused the old electrical disconnect box, I bought a newer one and hooked it up. It isn’t too terribly difficult, but there is a lack of instructions that come with the products. It will keep down on vegetation growing too close. The service man will have a cleaner workspace. Instead of sitting in mud and tracking that into your house, they can keep clean. 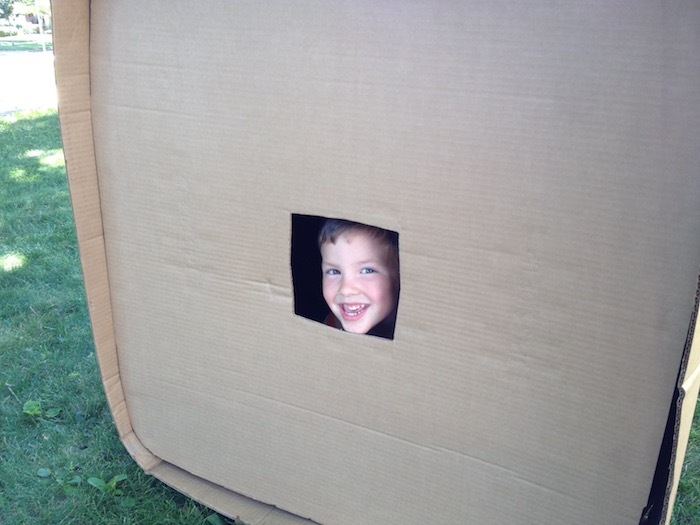 In preparation for a bigger home improvement project, I have been working on several smaller ones. One of those smaller projects was replacing our old programmable thermostat with a new Ecobee 3 smart thermostat. Do I need a new thermostat? 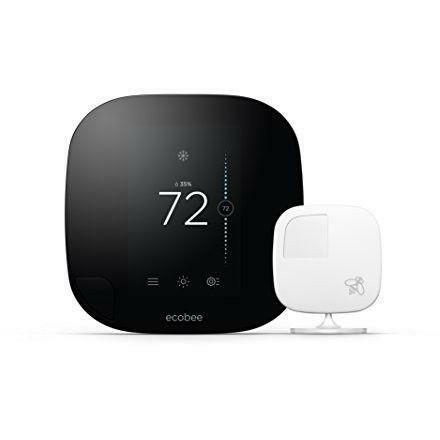 Probably not, but given that the pricing on the older model 3s has come down now that the Ecobee 4 is out, plus the fact that you can get utility rebates means that a smart thermostat like the one above only ran about $100. The biggest advantage isn’t necessarily in cost savings, but rather in comfort. The Ecobee can pair with up to 32 different remote sensors. These wireless sensors can be placed anywhere in your home to detect temperature, humidity, and occupancy. We have two remote sensors, one in a bedroom upstairs and one in the foyer. At night time, the bedroom temperature is given more importance, and during the daytime the two downstairs readings are given priority. There are a lot more bells and whistles that I have just started wrapping my head around such as voice control, advanced scheduling, geofencing, and system performance reports. Honestly, unless you are a techno geek, these are probably of little interest to you. I expect that within the next 12-24 months a slew of lower priced smart thermostats will flood the market with features geared towards the everyday person instead of the early adopter. 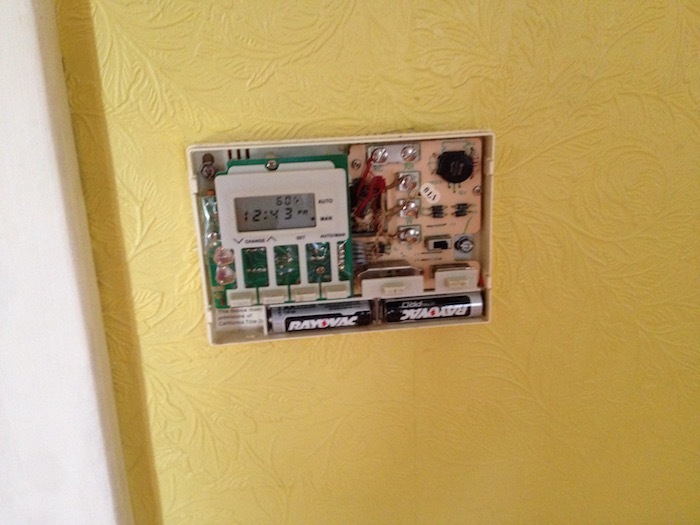 Since this is not new construction, I needed to remove the existing thermostat before I could do anything else. 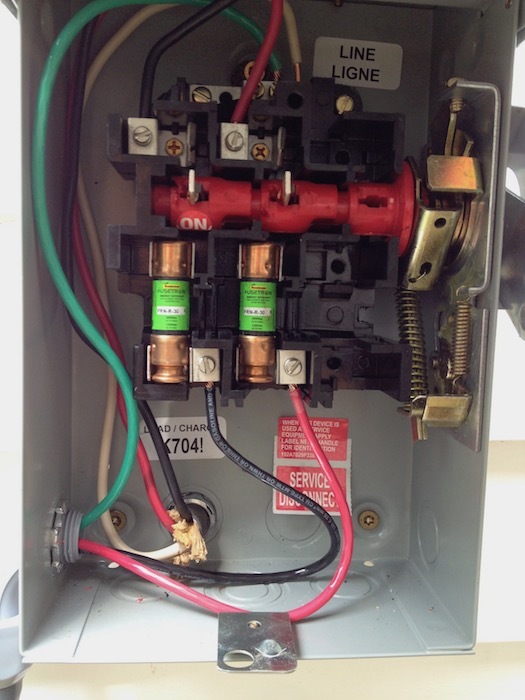 Shut down the breaker for the furnace and remove the cover plate for the existing thermostat. This one has a battery backup, so the display is still on. You can see the rats nest of wiring in there, we’ll get more comfortable with that soon. With a couple of screws removed and the wiring loosened from the contact plates, we can remove the old thermostat from the wall. Unfortunately the wallpaper did not go all the way underneath. We’ll have to address that later before we can install the Ecobee. For now though it is back to the wiring. In this case it is ancient and brittle. Most new construction homes will run 18/5 thermostat wire from the furnace to the thermostat. 18 is the size of the wire. 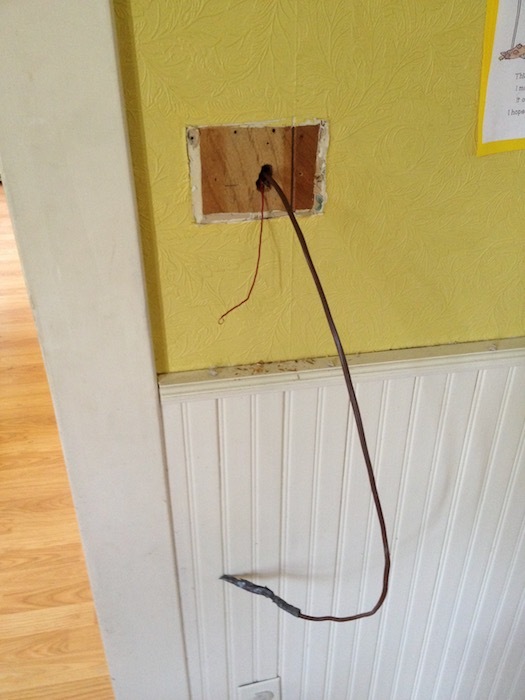 Your standard electrical wire that connects to a wall receptacle is 12 or 14 gauge. 18 gauge thermostat wire, despite the higher number, is thinner. The 5 describes the number of insulated conductors inside that wire. So an 18/5 thermostat wire is 5 individually wrapped wires that are all 18 gauge. I decided now would be a good time to run a new thermostat wire from the thermostat to the furnace. I picked up 25′ of 18/8 twire to help future proof the install. First things first, I disconnected the existing twire from the furnace control board. That’d be the red, green, blue, and white wires. Then I taped the new wire to the old. 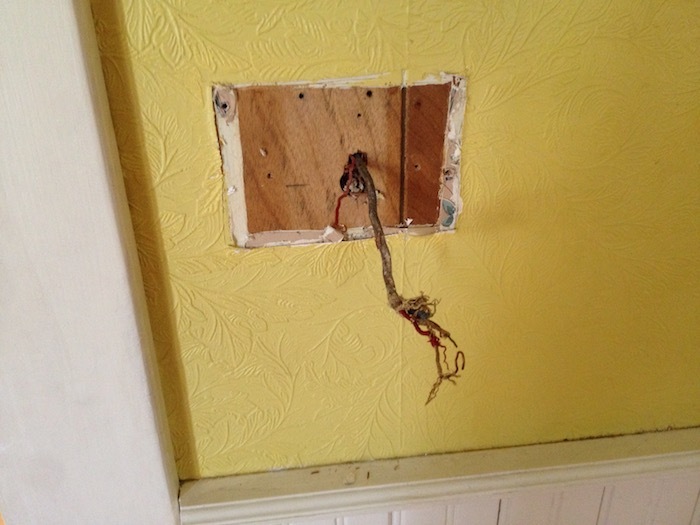 Carefully pull the wire up through the wall cavity. 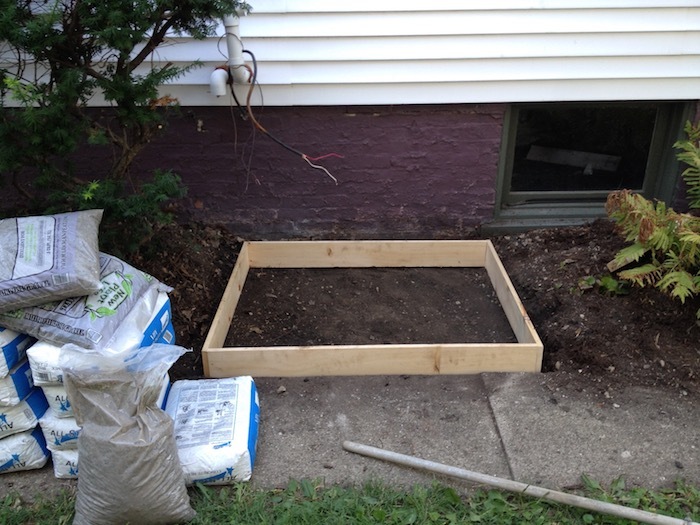 This step took a bit of time because the old twire snaked through and around several joist bays in the basement. That rectangle of unfinished wall is too large to be covered by the trim plate that came with the Ecobee. I also did not have any remnants of wallpaper to match what was there. 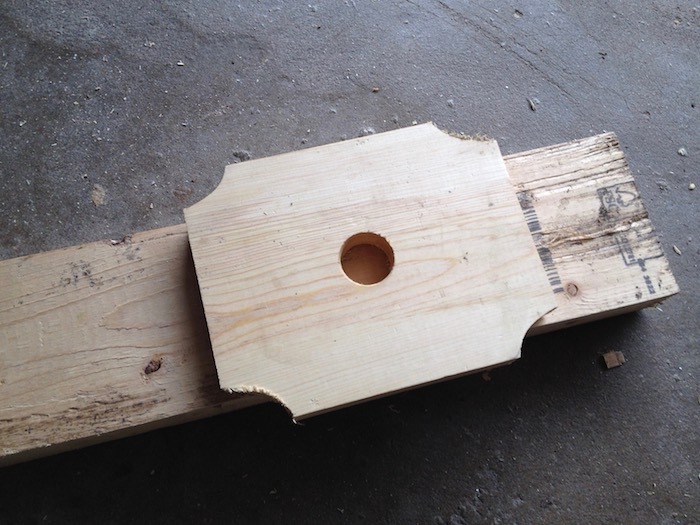 I decided to make my own trim plate out of wood. 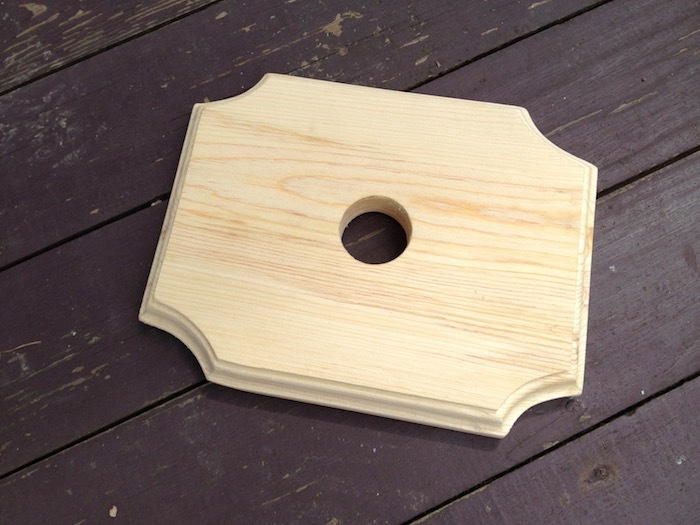 I used a miter saw, jigsaw, and drill to make the rough shape of the trim plate. Then I finished it off with a router and a lot of sanding. 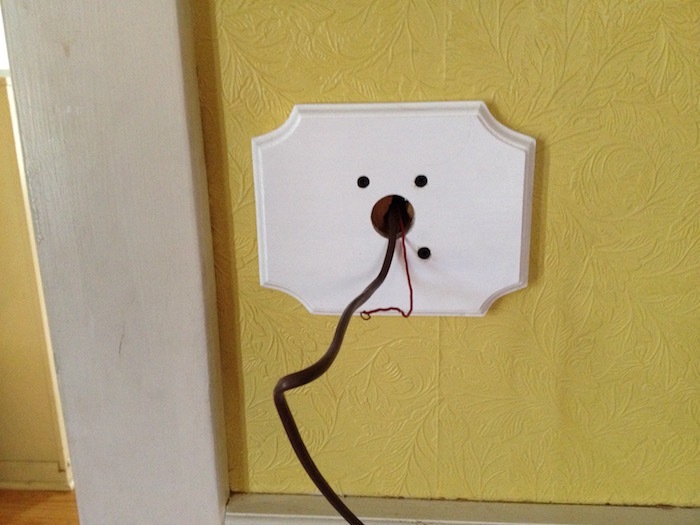 After a couple coats of paint, it was fastened to the wall. Finally, the Ecobee base was attached onto the custom trim plate. It was a simple matter to follow the Ecobee instructions for wiring the new twire correctly. 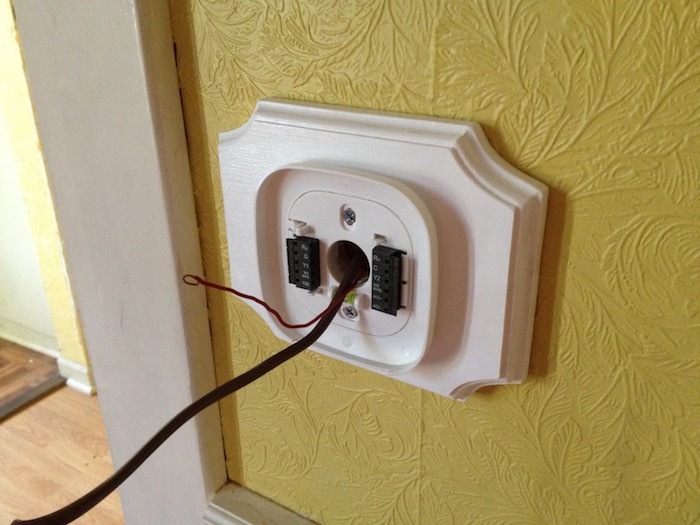 Once the wires were attached, the Ecobee snaps onto the base. Presto Change-O, we can now change the settings from our phones using Siri or any of the alternative voice assistants. 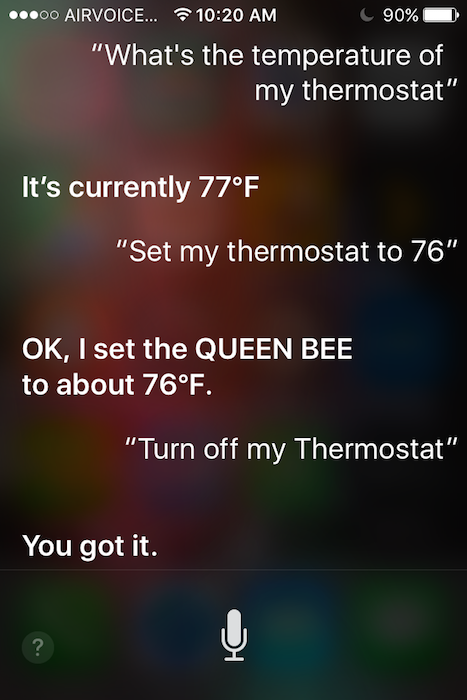 In a pinch, I suppose I could also walk over to the thermostat like a caveman to make changes. 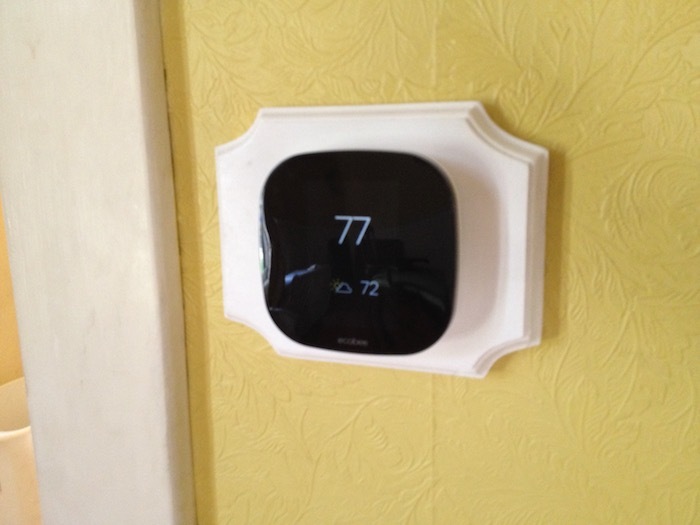 The cost of a shiny new thermostat install was $100 (Ecobee refurbished – Gas rebate) + $20 (new 18/8 thermostat wire) + an hour or two of labor. So $120 to do it yourself vs letting an HVAC contractor bundle it into a bid as a $300-400 line item. In part 2 we’ll explore more ways to trim the cost of installing a new furnace and split AC system by doing some of the grunt work yourself.